Vibration is a pen turner's worse enemy. Eliminate it during mandrel work by adding this adjustable arbor. 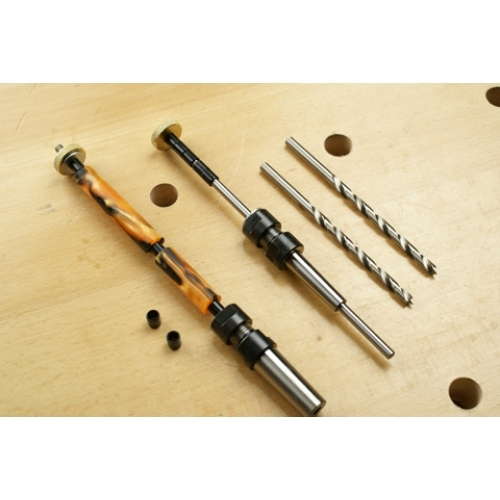 With the ability to chuck the arbor up close to the taper is a turner's dream come true. 7mm arbor.